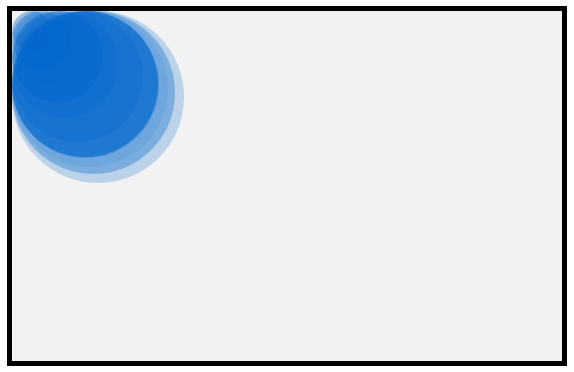 Ever since I learned how to program and make things move on the screen, I've tried to star blue circles in the role of "the elements" in many of my experiments. I've never tried to hide my fondness or admiration of them, and (as much as the jealous smiley blocks may try) today is going to be no different. 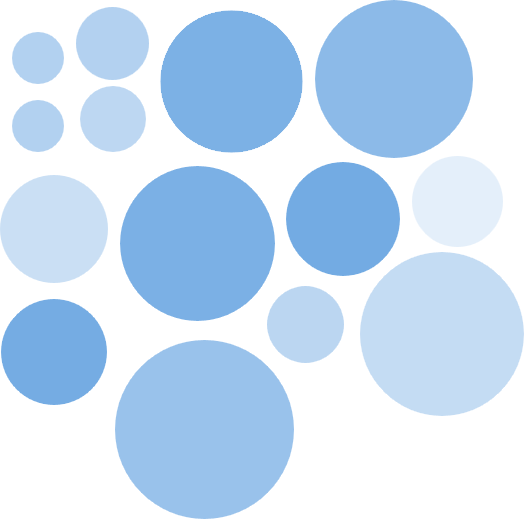 Through the eyes of the blue circles, you will learn how many elements can be brought to life. While this effect is pretty cool and you will learn all about it, the real lesson isn't in learning what it will take to re-create this example. It is much more than that. The our circle can achieve this goal is pretty simple. This change in position can be accomplished by setting any one of the handful of properties that deal with an element's position on the screen. Because we want this position change to be animated, the property will set is the transform property's translate3d function. If you are curious as to why this property is used, read this article that I referenced in the "Some Pre-Requisite Reading" note earlier. To have the change actually animate and not be sudden, we will be using a CSS transition. In order to have the transition work, we need to specify the CSS property it is going to be listening to. Transitions are kind of needy like that. Because we are changing position using a transform, the property we will specify is the transform property. At any time the transform property is modified, our transition will kick into high gear. That's good. The way the circle got to Position C is the same way it got to Position B from Position A. The transform property's translate3d function was used to specify the new position. Because the transform property was modified, the transition kicked in and animated the circle to its new position, Position C. By now, you should see a pattern start to emerge in how our blue circle operates. The circle's journey will never end. Just when you think the circle is going to take a break, a new position will be picked and the circle will animate over to that location. Ok, great. At this point, you should have a high-level understanding of what our circle does. Let's dig in a little deeper by covering some gaps that our current explanation left in its wake. When this event is overheard, we have some code that simply sets the position of the circle to a new, randomly generated point. This gets our transition running again. By using the transitionEnd event as a marker for when to start our transition again, we are able to create a never ending transition that effortlessly glides our circle from one random position to another. By now, you probably have a good high-level understanding of the various pieces...including the gaps. There are some subtle details that I did not cover, but covering those details and more makes the most sense to just look at our actual example. Let's start our deconstruction where we painstakingly poke and prod at every little piece of markup and code. If you copy and paste all of this code into a new document and preview in your browser, you will see the same example from this tutorial working in all of its glory. Let's go through each major section and understand how it all works the way it does. I've highlighted our transition-related properties, and you can see that we are using the longhand form for defining our transition. Our transition listens for changes on the transform property which, as we mentioned earlier, is needed for the translate3d function that we use for positioning the circles. The timing function is set be an ease-in-out function, and the duration is 0 by default since we are not declaring it. Now, you may be wondering, why does our transition have a 0 second duration? The answer to this is a little tricky to explain right now, but rest assured that I will cover it shortly. Gets a reference to all of the circle elements. Handles the vendor prefix issues so that certain properties work correctly depending on the browser your content is being viewed in. Sets the initial position of all the elements so that your circles aren't all starting from the top-left corner. Jumpstarts the transition by adding the eventlisteners for the transitionEnd event, specifying a non-zero value for the transition's duration, and telling each circle to position itself somewhere else on the screen. Updates the position of each circle when the transitionEnd event is fired so that your animation just keeps on running. These five steps are essentially a simplified version of the longer, verbal explanation you saw a few sections earlier. In the next couple of sections, let's see how these steps translate to the actual code that you see. This is easy because all of the circles have a class value of thing on them. Knowing that little detail, you can use the querySelectorAll function to quickly get at them from our DOM. The goal is to have the transitionDurationProperty and transformProperty point to something meaningful that takes the browser you are using into account. For example, in a WebKit-based browser, your transformProperty's value would be webkitTransform. On IE9, your value would be msTransform. You get the picture on what I desire. I just want to use transitionDurationProperty and transformProperty. I don't want to have to check every time which property exists and should be used every time I want to use these two properties in my code. Finally, we are starting to get to the fun stuff. There are really three things at play here when it comes to setting the initial position of each circle and adjusting how they look, so let's look at all three of those things. You may think that this really doesn't matter since we will be randomly positioning our circles quickly after page load anyway. Nobody would notice the very initial position they have. That is true. The problem isn't that people might or might not see what happens for a millisecond. The problem is that having the circles not start from position 0, 0 makes all of your calculations difficult. All of the calculations we use for moving the circles would now need to be offset by whatever their initial position is. That is just a pain to deal with given that the fix is so elegant. The elegant fix involves simply setting the position to absolute in the style rule that affects all of these circles - the .thing rule. This simple change solve this problem since every circle's starting point will be 0, 0. No unnecessary offsetting is needed. That's a good thing! There is a certain schoolyard uniform monotony here that looks a little weird. Let's reduce the weirdness and give each circle a slightly different look so that they all don't look the same. 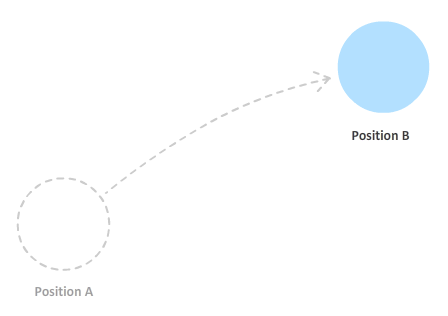 This loop goes through each circle that we are wishing to animate thanks to theThings array. If you recall from a few lines of code earlier, the theThings array contains a reference to all of the circles that live in our HTML. This is just standard array stuff, so there is nothing special here. Just know that theThing variable contains a reference to an individual circle...a poor, defenseless, and lonely circle. 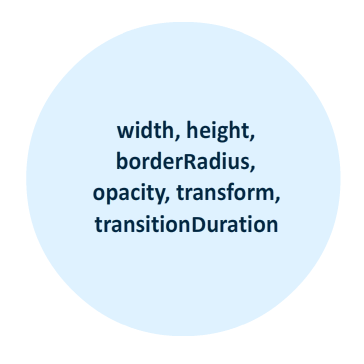 The style properties that I set on our circle are the width, height, borderRadius, and opacity properties. To help ensure our values are a little bit on the random side of things, the Math.random() function makes an appearance in several cases. Don't you agree that these are just some good looking circles? The next thing we are going to fix is the circle's position. 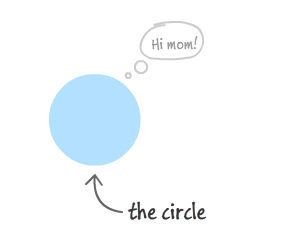 Right now, your circle is anchored in the top-left corner of its parent container. 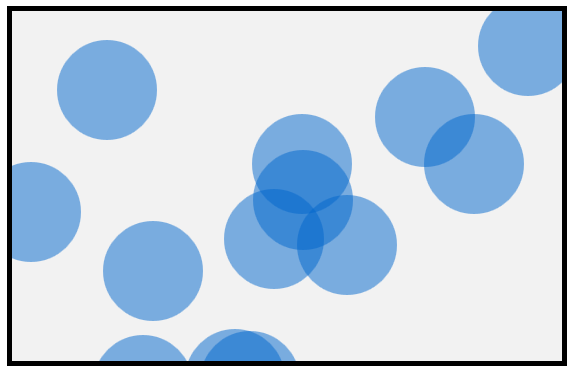 What we want to do is position these circles randomly so that this example looks nic. What this function does is simple. On the circle (which is now known as element), it sets the transform property with an appropriate translate3d value that results in the final position being something different. Anyway, let's go back to our setInitialProperties function. After the call to setTranslate3DTransform completes, your circle will now contain inline style values for its width, height, border-radius, and transform. All of this happens once for each element in your theThings array, so every circle will now have style properties set inline as well by the time the loop runs to completion. The reason for the very short timeout is to give your browser time to actually place the circles at their new position. If you didn't do this and called the kickOffTransition function immediately after your loop, you will actually see your circles starting off from the top-left corner and animating to their initial position. You don't want that, and I'll describe later why this happens. 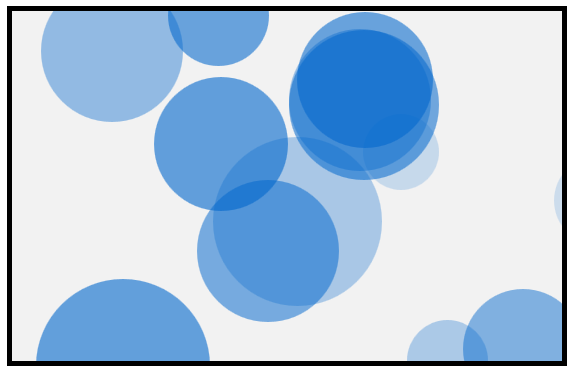 The goal of this function is simple: setup event listeners and poke each circle to cause it to transition. When that event is overheard, the updatePosition function (aka the event handler) gets called. As you recall, this function sets the translate3d value on the tranform property of whatever element is passed into it. After this line has executed, the position of the circle that was passed into it is going to be different. We set the transitionDuration property on our passed in circle's style object to a random duration as determined by the getRandomDuration() function. This approach of setting an inline style on an element should be getting pretty familiar to you by now. The end result of all this is why you've been eager following along. After you set your transition duration, your circles will animate to their respective new positions as set by the setTranslate3DTransfrom call just a few lines earlier. Wait. What? They Animate Now? Right now, there is a good chance you are puzzled. 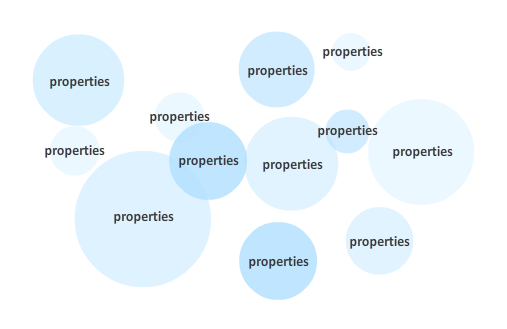 You may be puzzled because in setInitialProperties we called the setTranslate3DTransform function that specified a new position on each circle. There was no animation at the end of that call. 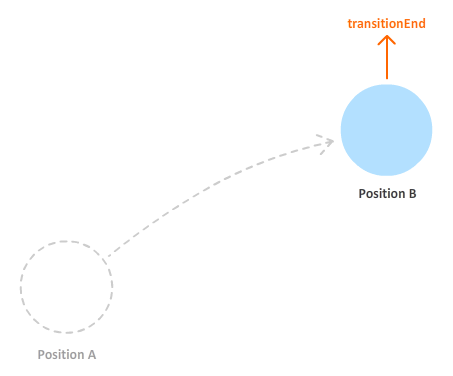 In kickOffTransition, we called the setTranslate3DTransform function on each circle. There is an animation. What gives? 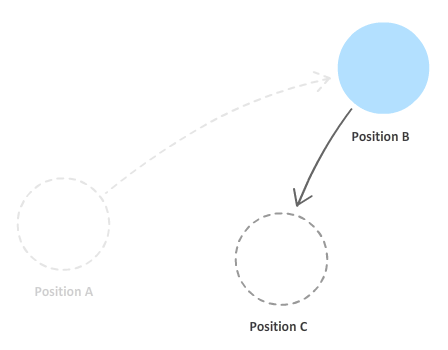 In our CSS, we only defined the property and the timing function the transition would use. By not defining the duration of our transition, the default duration of 0 seconds kicked in. A transition with 0 seconds is basically one that goes from one state to another instantaneously. You will never see what hit you. That is not the case once we set the position of the circles again in kickOffTransition. This time around, the transition duration on each circle is not 0 seconds. It is a random non-zero value that ensures you can visualize the change from each circle's initial position to its next one. This brings up another peculiarity - one that ties together our earlier 100ms setTimeout call as well. We set the position of each circle first, and then we set the duration on the transition. Logically, that doesn't make sense. 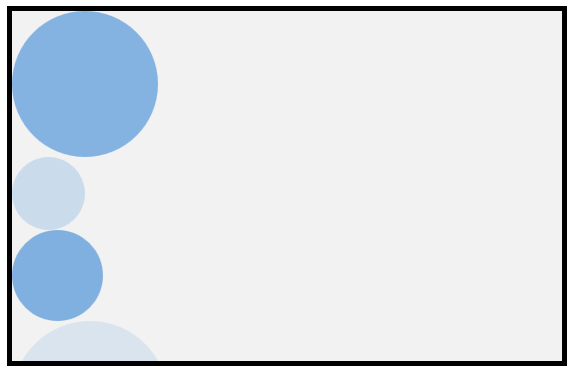 I mentioned earlier that the reason we couldn't visualize our circles changing positions is because a transition duration was defaulting to zero. Here, we are changing each circle's position while the call to set the duration on each circle to something non-zero occurs only afterwards. Shouldn't the order be flipped around? If I didn't set this delay, before our circles even had a chance to think about moving to their initial random position, they would have been neck deep in the kickOffTransition function and its call to move the circles one more time. Worse, from inside kickOffTransition, a transition duration would have been specified as well. This means that your circles going from the top-left corner to their new position would have been animated. You do not want that. That just looks weird. Now, let's return to our regularly scheduled programming and wrap things up. This function, if you recall from setting up the event listeners earlier, gets called each time the transitionEnd event is fired by each circle. That happens when a circle has moved to its intended destination. 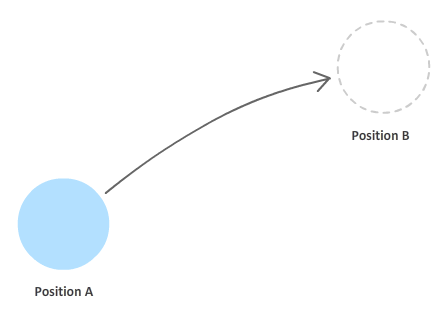 Once that happens, we want the circle to move on to its next position, and that is what this function ensures. All of the code here should be self-explanatory. Notice that the dynamic duo of setTranslate3DTransform and setTransitionDuration make their appearance here to ensure the transition has a new destination to move towards and a different duration to reach that destination by. To ensure that we are only affecting the circle that the transition was ended on, the e.currentTarget property is used instead of any sort of hard coding. This is all just business as usual when looping a transition. This turned out to be a little lengthy! The important thing to keep in mind is this. A CSS transition only cares about changes to the property it is listening to. It doesn't care about anything else. It doesn't care how the change happens. It's only job is to interpolate the property values between the current and the future over a period of time. All of the code that you've seen so far is to help facilitate that only job....and take into account the myriad of quirks you needed to account for.